Skylar To is a Vietnamese-American college graduate with a BSJ in Print Journalism from Suffolk University. Aside from print journalism, she also enjoys studying public relations as well. In her one year with The Suffolk Journal, To has expanded her beat of covering just Boston Bruins Hockey to sports journalism, and occasionally some news stories, too. She loves meeting new people, and helping to write and share their stories with others through The Journal. She also loves carbs, sweets, shoes and women’s fashion. 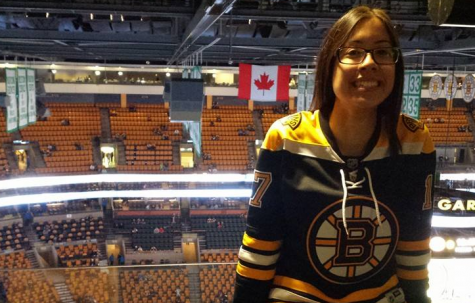 You can find her either catching a Bruins game “high above the ice” at The Garden, at the school library, or in The Journal office.